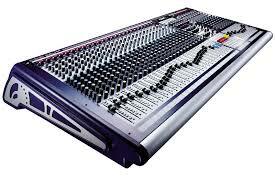 Some mixing consoles (festival, club, etc.) get relabeled constantaly. It is not unusual to generate new labels several times in a single day. Other consoles, those used by touring acts, may not need relabeling for months. The “repositionable” adhesive that is admired because of clean removal will eventually cause the tape to curl up at the edges. Attempts to stick it back down become less and less successful. If you find yourself in this situation, use just a little more tape for your label strip, wrapping it around both edges of the mixing desk. That will make it less likely to curl and release, since the tape that is wrapped around the edges never comes in contact with your hands.